It had always been Tiago’s dream to own his own vineyards and find himself through the wine. 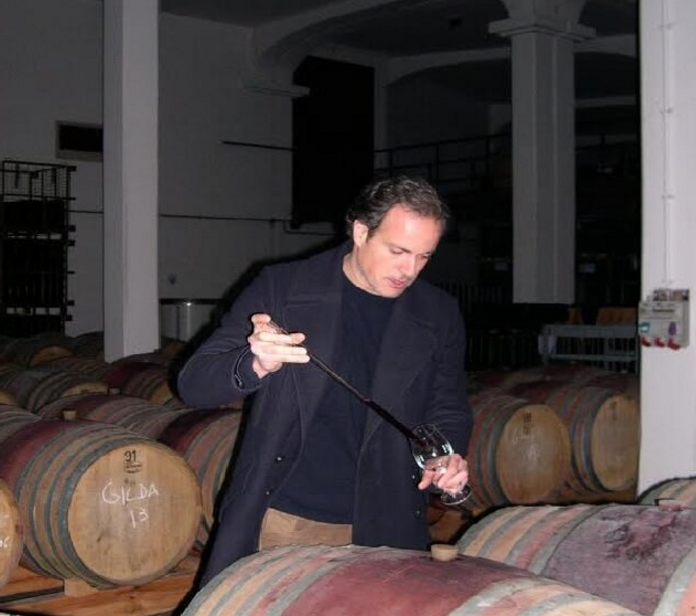 In 2012 he got the opportunity and, in partnership with his father, began planting himself in the Bairrada. Tiago holds two qualities above all else: freedom and friendship, both gained out of their family’s history and passion for the sea. It is this motivation that leads them to craft wines with ethical relationships, starting with the treatment of the vines all the way down to the final product in the community. In the cellar they aim to allow the wines to make themselves, setting aside anything that might distort the true expression of the grapes, while keeping an open mind to new methods that might pop up. Here co-fermentation is typical, without pumping in order to gain greater cohesion in the blends and then followed up by rest in used oak barrels for 6 months. Like their relationship with the sea, they aim to create wines of pleasure. 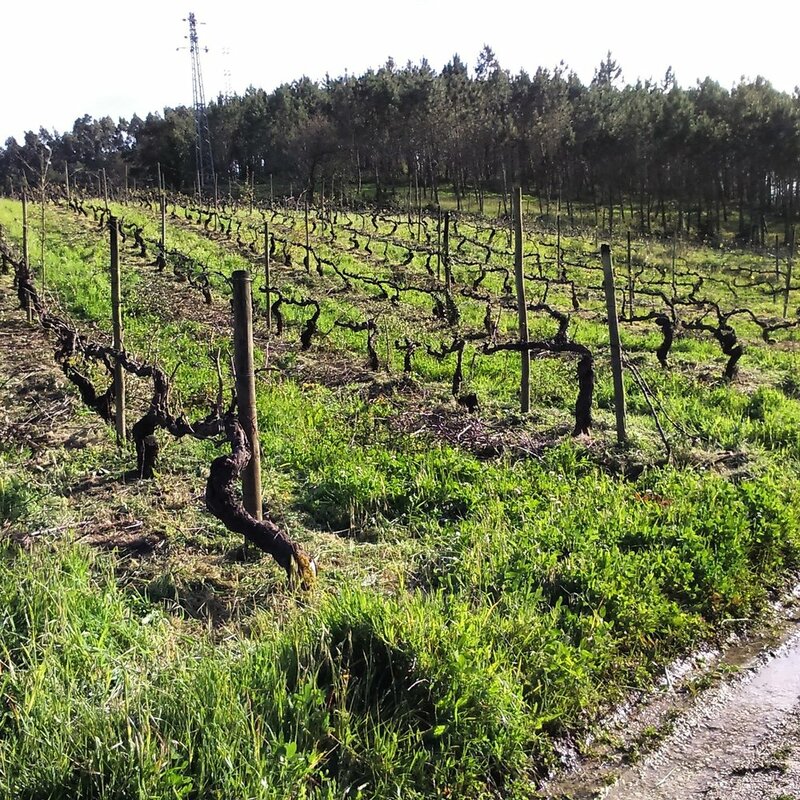 From five year old vines planted on granitic soils near the Atlantic Ocean in the Vinho Verde region. The grapes are hand-harvested in mid-September, not de-stemmed, then spends three days macerating followed by spontaneous fermentation in 1000L lagars with indigenous yeasts for 20 days. The wine is aged on lees for 10 months in concrete tanks (15hl). Not fined or filtered. From the same vines as the ‘Raiz’, the grapes are hand-harvested in mid-September, not de-stemmed, spend two months in concrete tanks macerating and fermenting, with indigenous yeasts, before being aged on lees for 11 months in concrete tanks. Not fined or filtered. From 30 year old vines planted in clay-limestone soils and are hand-harvested in the first week of September. The grapes are then de-stemmed, allowed to macerate for 30 days and set to pre-fermentation cold soak until spontaneous fermentation in 6000L lagar with indigenous yeasts for 10 days. Aged in 10-year-old 300L barrels for 10 months. Not filtered. From 19 year old vines planted on clay-limestone soils very close to the Atlantic Ocean’s influence. The grapes are hand-harvested in the second week of September, de-stemmed and allowed to macerate for 30 days. After a pre-fermentation cold soak, spontaneous fermentation with indigenous yeasts begins in 6000L lagars, which lasts 10 days with no temperature control at that point. The wine spends its entire time on the lees. Partially aged for 10 months in stainless steel (5000L) and old 300L barrels, both around 10 years old. Not fined or filtered.